It’s happened to every traveller: you have a long layover and wander the terminal to find a peaceful place to relax. GoSleep Pod provides what every stressed traveller needs with a quiet, private place to work, relax or take a nap. “Passenger feedback has been overwhelmingly positive, confirming what we knew all along – this is a product that people want and need when travelling,” says Jussi Piispanen, GoSleep managing director. Building on the long history of Finnish design and technology, GoSleep Pod is a comfortable seat which can convert to a bed. Hand luggage can be safely stored under the seat while a movable screen shelters the passenger from noise and light while providing privacy. The GoSleep Pod also include charging ports for your electronic devices. 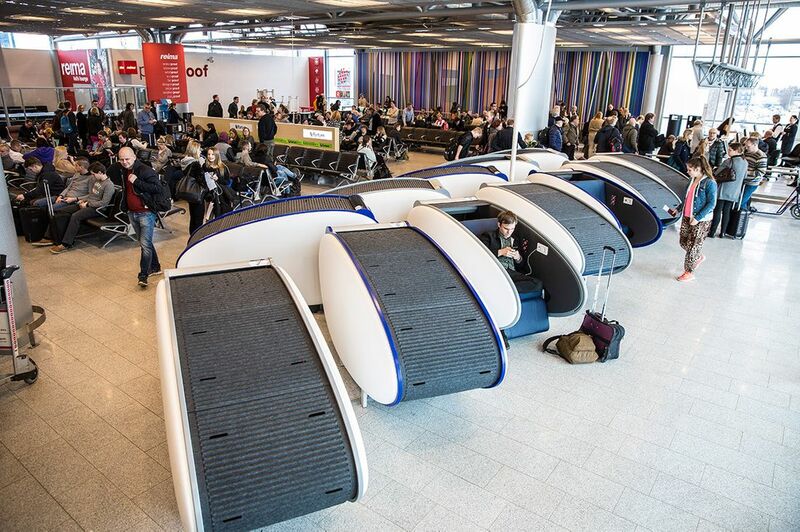 “Our customers repeatedly tell us how much they appreciate the opportunity GoSleep Pods provide to escape from the hubbub of the airport and the stress of travelling, and allow them to retreat into their own little world,” Piispanen continues. The next time you are travelling and would like a place to relax, give GoSleep a try! For more information please visit the airport’s information desk.